New farmers have arrived! WPFF is officially an Agricultural Conglomerate! 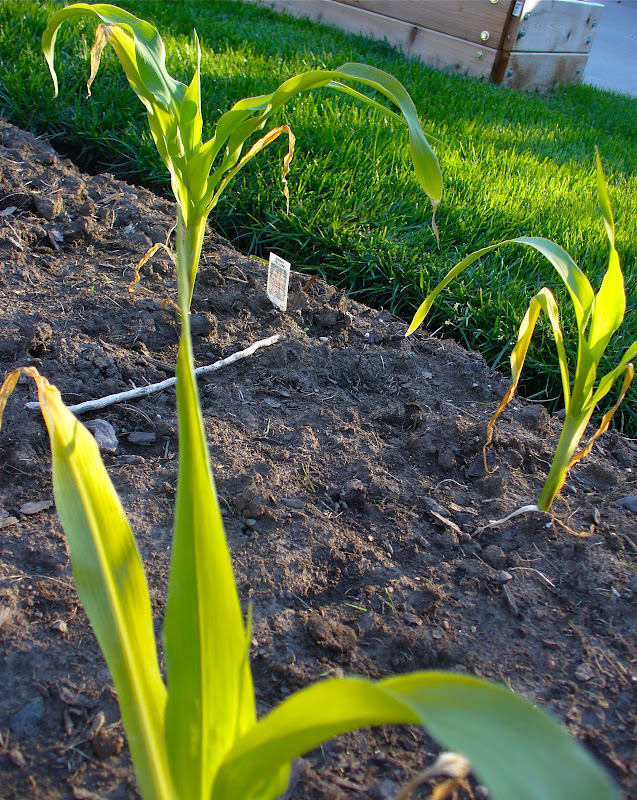 FarmaNatrix Cathy is growing corn among other things, the little minx. A woman after my own heart -- I think she's using InstaPlants. Yay, FarmaNatrix Cathy! And I met FarmaNatrix Nicole about a week ago. She's nice. Her crops include cukes (or summer squash? 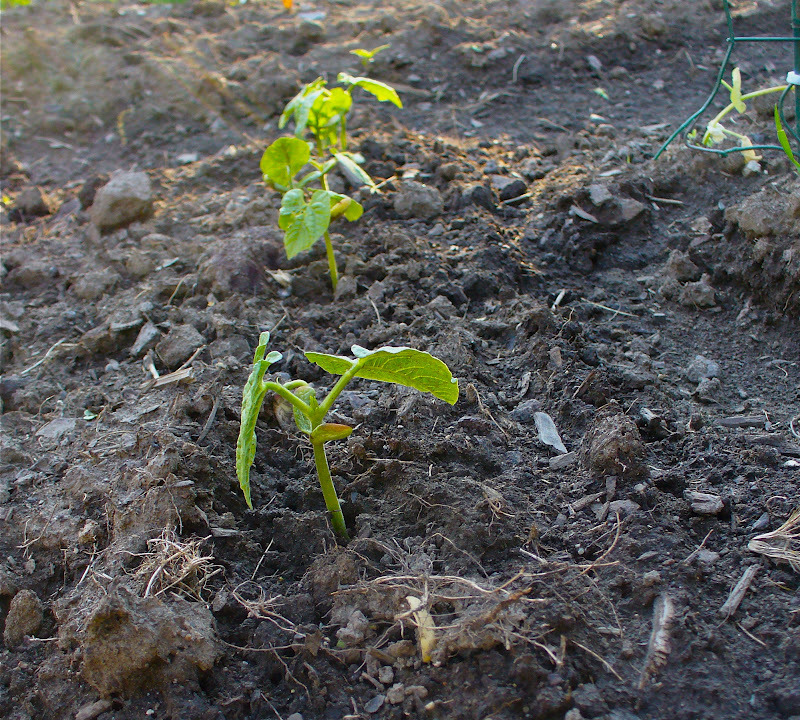 ), bush beans, lettuce and snow peas. I'm trying to grow pole beans. Note the operative word trying. 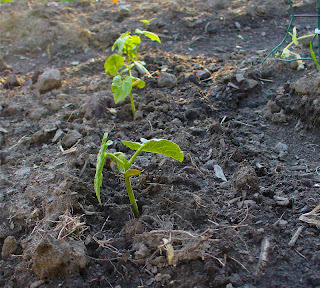 Seeds went into the ground a couple of weeks ago (along with some heirloom lemon cucumbers). According to both seed packets, I should be seeing sprouts by now, but nope. I got nuthin'. Zip, zilch, nada. And here I followed the planting instructions so carefully. That's a shade uncharacteristic of me. Could it possibly have something to do that we've gone from sunny, marginally balmy days in the low 70s to daily monsoon rains and hand-numbing temperatures hoving in high 40s and to mid 50s? Let's just say, we've had to re-start the furnace at the Nine-One-Four. And I know precisely why the change in weather . . . I bought a pair of summer sandals in Portland. I've only worn them once since we got back to Bermtopia. And I should also note no one, repeat, no one else at The Farm has planted their tomatoes. Come on, gang, let's live a little. Life is short! You're missing out on prime tomato-hand-wringing time. But about those beans and cukes. . . I'm giving them till the weekend to straighten up, fly right and make an appearance. According to the owners' manual, they've had plenty of time to germinate and sprout. I'll show them! Do-overs are allowed -- no, wait expected -- at When Pigs Fly Farm. A potato postscript. Yes. A POTATO. You're so funny. We could start a Failed Green Thumbs co-op and just buy veges and herbs from Cathy and farmer Jim. Let them toil the soil while we sip caipirinhas. Thanks for your support on our off leash parks. What a new twist. I'm tuckered out. I don't of course believe it'll be over till the fat lady sings. Hope you're having a great weekend. I've been felled by flu GAH.